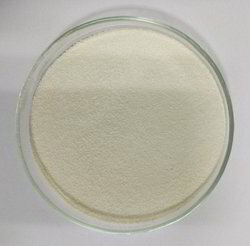 Sodium erythorbate is a food additive used predominantly in meats, poultry, and soft drinks. Chemically, it is the sodium salt of erythorbic acid. When used in processed meat such as hot dogs and beef sticks, it increases the rate at which nitrite reduces to nitric oxide, thus facilitating a faster cure and retaining the pink coloring. 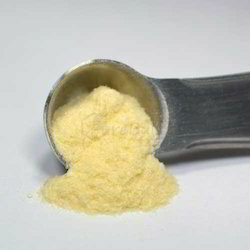 Vitamin C Powder, commonly known as Ascorbic Acid, is used as dietary supplement. It is the most effective and safe medicines needed in a health system. Its medical use include treatment of scucancer preventation, cardiovascular diseases, arthritis etc. Vitamin D3, also known as Cholecalciferol, is a steroid Vitamin, a group of fat-soluble prohormones that help maintain the balance of calcium in the body, important for normal growth and mineralization of bones and teeth. Extensive and ongoing research on Vitamin D has also brought to light new roles of this Vitamin in modulation of cell growth, neuromuscular and immune functions. Vitamin D2, also known asErgocalciferol, is used to ensure the right concentration of calcium and phosphorus in the blood. Ergocalciferol is used to treat and prevent bone growth disorders such as osteomalacia, rickets and osteoporosis. Recent research shows that vitamin D2 can also be of paramount importance to prevent other abnormalities and diseases as well. Several forms of cancer and auto-immune diseases are targeted by several research companies.